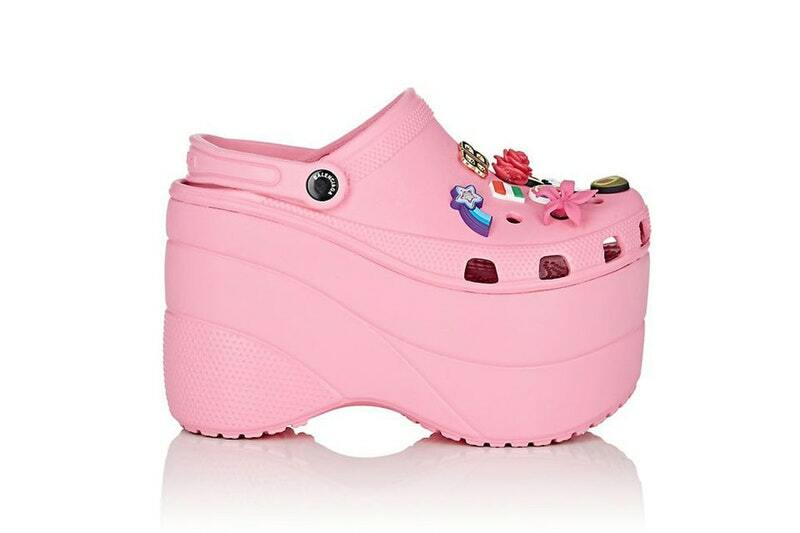 Do you have $850 burning a hole in your pocket that you’d like to spend on some bedazzled platform Crocs that look like a three-year-old’s art project? 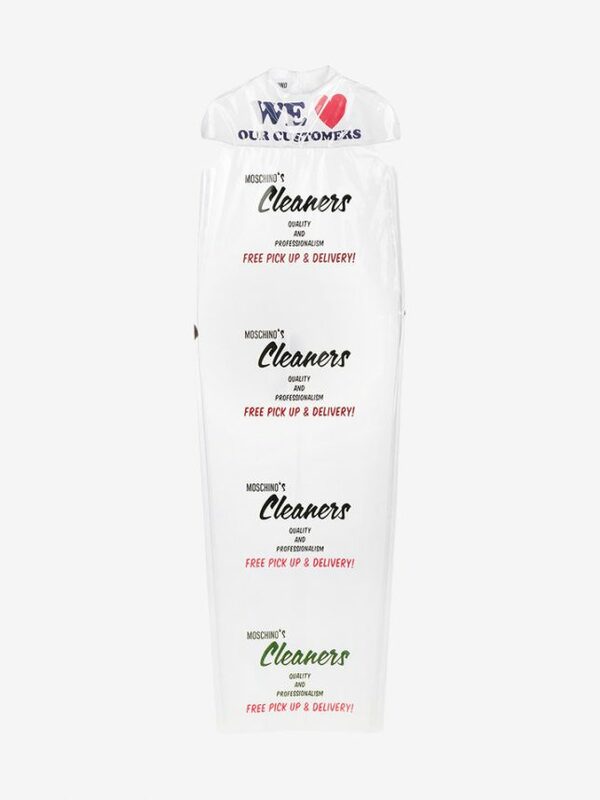 Perhaps you’d prefer to shell out thousands for the honor of sticking your arms through a plastic dry cleaning bag and calling it a dress. Yes, high fashion really is its own little world, and the desire to make a statement nearly always eclipses the need for practicality. But there are strange and unusual runway moments, and then there are ready-to-wear abominations that somehow sell out online within seconds. 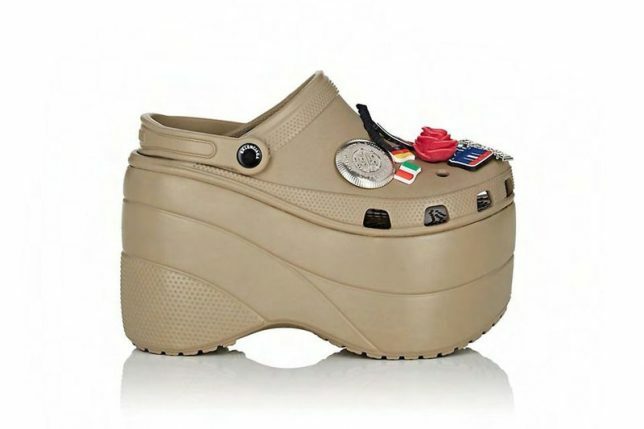 Crocs are ugly, but for some people, they serve a utilitarian purpose – for walking the dog, gardening or staying comfortable while working long hours at a retail position. That’s all fine. 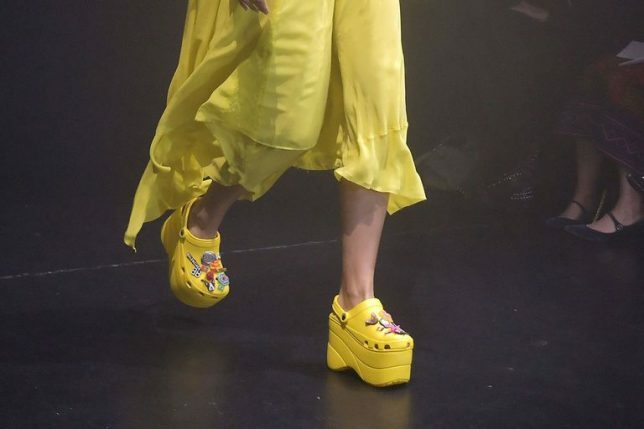 What’s not fine is taking this intrinsically offensive rubber design, extending the platform, bejeweling the tops so they look like a kindergartener’s craft project, and then selling them for $850. But of course, fashion house Balenciaga is getting the last laugh in this situation, because this abomination sold out within minutes when they were made available for pre-order. 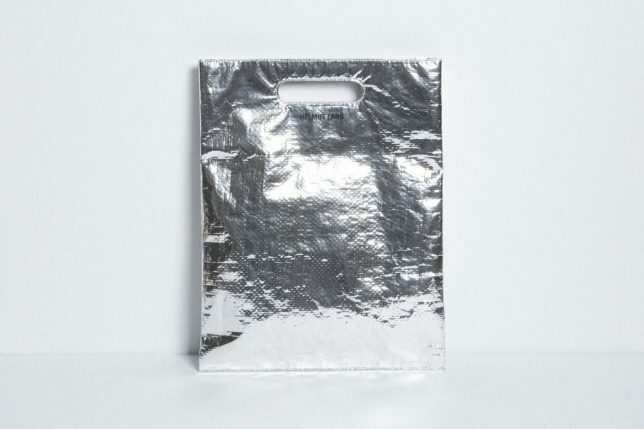 Sure, the insulated silver bags often used to keep frozen goods cold are shiny. So are a lot of other things. But Helmut Lang saw something special in the woven metallic material, and used it as inspiration for a $320 handbag that looks like it cost less than a dollar. They even call it ‘Freezer Bag,’ and posted an Instagram photo of the bag placed… inside a freezer. 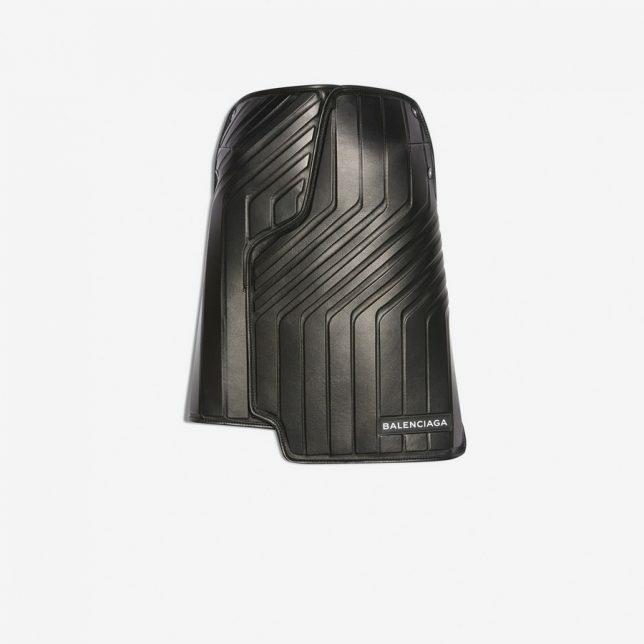 Balenciaga is at it again with a skirt that looks exactly like a rubber car mat. It’s actually made of leather, but can you even tell? By all appearances, it’s a piece of cheap, possibly toxic material molded in the same way car mats often are, for $2916. 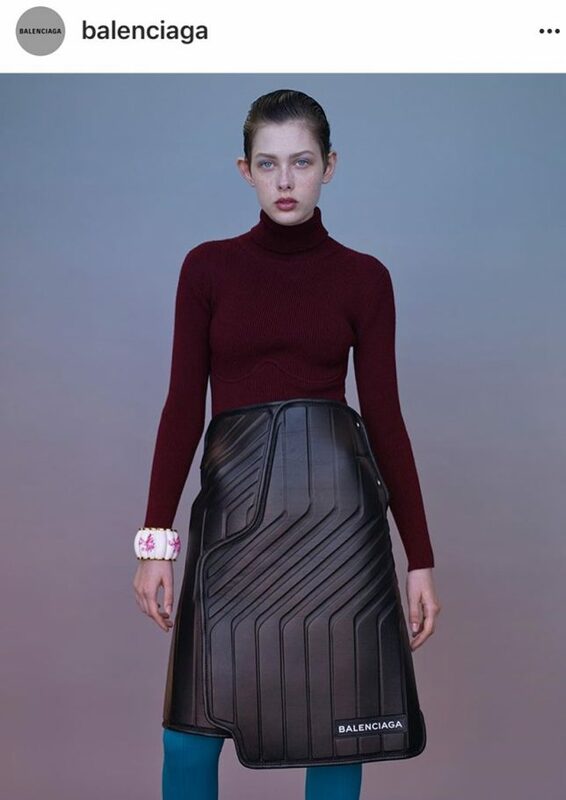 You could literally staple an actual car mat around your waist and achieve the same look. It’s called Car Design Skirt, and it’s sold out. Très chic, eh? This $730 dress by Moschino could have gone for a more subtle and slightly futuristic look just by leaving off the text and tightening up the silhouette a bit, but clearly they want it to look like a dry cleaning bag. Even Cosmopolitan made fun of it. The dress, unsurprisingly, is the brainchild of fashion designer Jeremy Scott, who certainly doesn’t shy away from the gauche in his work. The most basic job of a pair of pants is to cover and protect the lower halves of our bodies, but utilitarianism usually goes out the window when it comes to high fashion, so perhaps it’s no surprise that somebody cut the most important parts out of a pair of jeans, left a thong-like strip in the back, and called them pants. 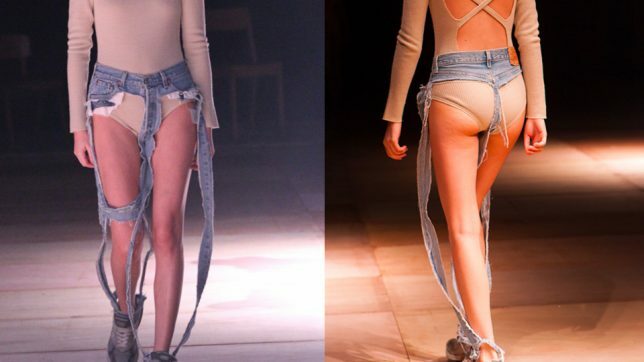 “Thong jeans now exist so let’s officially get the apocalypse rolling,’ reads Harpers Bazaar’s piece on the Thibaut creation, which debuted at Amazon Fashion Week Tokyo in 2017 and will reportedly become available on the market this year. If you’re just too excited to wait, you can get a copycat pair from fast fashion retailer Yandy – as a Halloween costume.